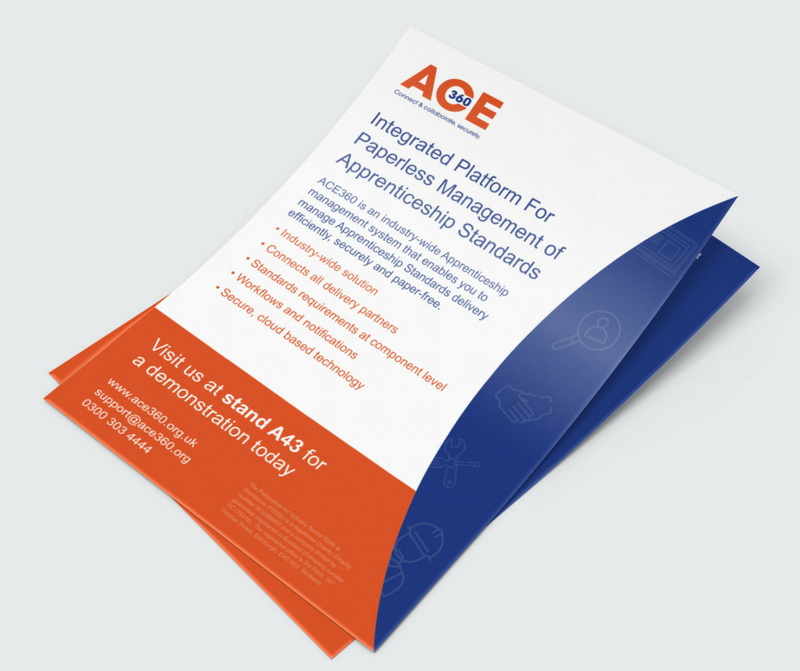 ACE360 is new IT system designed to make the management of Apprenticeship Standards easy. We were invited to devise a product launch strategy to bring this product to market. Within a challenging time-frame, we created a launch communications strategy with buyer personas and key messages per audience. Next we created a clean website design and UX, working with their internal web team to launch the site. We produced all copywriting and news articles for the site. Bespoke graphics helped to make the complex Apprenticeship Standards management process simple. We also designed and produced a range of marketing assets in time for their public launch, including a video animation to explain how the system works, an exhibition stand, sales leaflets and branded merchandise.